We remove and relocate honey bees without the use of any chemicals or pesticides. We service south and central Texas and will consider other areas as well. 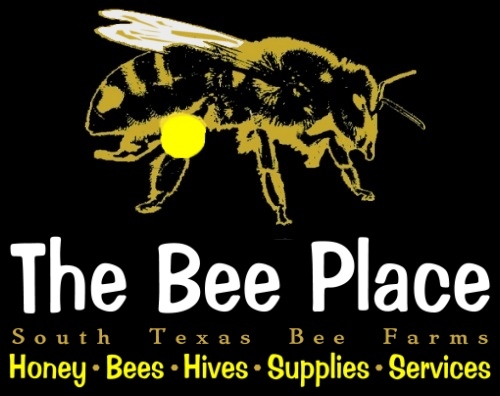 We specialize in safe and organic honey bee removal from just about any structure in most any location in south central Texas. Often times a swarm of bees will nest in the wall of any type of building or sheltered area they can find that makes them feel safe and out of the weather, such as in a house, barn, garage, shed, or other out buildings. Other times a swarm will land in a tree, a bush, the side of a wall or roof eve, the overhang of a porch or even in an old tub or spare tire. If they can find a small space to gain access and the scout bees discover enough space inside, the swarm will follow and set up housekeeping. 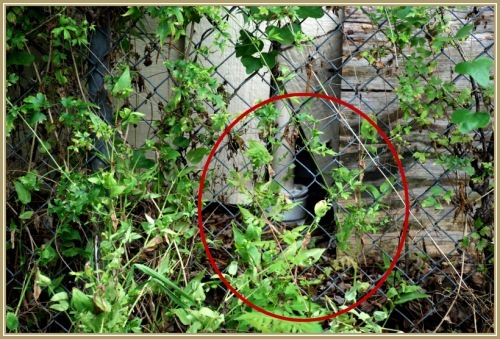 This opening in a garage wall near a plumbing pipe serves as an entry for a honey bee colony to set up residence. The bees that get inside a wall space or other such area will start building their honey comb right away so they can lay eggs and start producing honey to feed the colony and store for the coming winter months. The amount of comb and honey stores they have in a given hive will depending largely on how long the bees have been in the space. Obviously the longer they are there the more time they have to build and spread. That's where we come in. Between walls, where it is warm and dry is a perfect place to raise a family. We will remove the bees alive and carefully remove the comb in sections, including the brood and the honey to be moved with the rest of the colony, that would otherwise rot and create a generous odor that is sure to attract pests and leave a large mess once melted. If the comb is left unattended, without worker bees to fan the hive and control the temperatures, the honey will melt down and soak through sheetrock like a sponge. Bees on a frame of comb with brood and honey. Photo of a working hive in our bee yard. We remove bees from areas where they are not wanted, or may be presenting a danger to the area residents, including residential and commercial properties. We offer several options based on the circumstances and status of the colony. Once we determine if the bees are an established colony with comb or a swarm in transit, and survey the location of the bees and type of structure they are using, we consult with the customer to devise the best plan of action. Bees living in the hollow of old beautiful trees offer one type of challenge, while a colony that has moved into the wall of a home or other structure require an entirely different set of options. For the tree hollow dwelling bees, we have a none invasive method called a "Trap Out". This system uses a "bait hive" to "trap" the bees out of the hollow and into the hive we provide and set up next to their exit hole. This can take from four to nine weeks based on the size of the colony and other factors, including weather conditions and the season. For bees that are living in a structure of some sort, we typically perform a "Cut Out" style removal, which can be more invasive, but offers immediate results. Typically one day service. We open the wall, floor, roof soffit, etc, by what ever means necessary, then "cut out" the honeycomb, including the bees and the queen. Many times we are able to remove the bees by gently scooping them out by hand. When this is not an option, we use a specially designed "Bee Vacuum" system connected to a bee hive. Sometimes both methods are employed. Either way, we are normally able to capture 99% of the bees alive and relocate the entire colony to our safe and eco friendly bee yard where they will join other hives and do what bees like to do . . . gather nectar, pollinate plants, make honey and raise their young. We service residential, commercial, industrial, farm and ranch properties with 100% pesticide free, chemical free methods, all over South, Texas. We even work with the "Africanized" or sometimes called "Killer Bees". We will also help with Wasps, Yellow Jackets, Hornet, Mud / Dirt Daubers and more. Bandera, Boerne, Bulverde, Castroville, Corpus Christi, Devine, Floresville, Fredericksburg, Helotes, Hondo, Jourdanton, Leon Springs, Lytle, Pearsall, Pleasanton, Poteet, New Braunsfels, Schertz, Seguin, Somerset, Universal City, Uvalde, Aransas, Atascosa, Bandera, Bee, Bexar, Brooks, Cameron, Comal, Dewitt, Duval, Frio, Goliad, Gonzales, Guadalupe, Hays, Hidalgo, Jim Hogg, Jim Wells, Karnes, Kleberg, Kenedy, Kerr, LaSalle, Lavaca, Live Oak, McMullen, Medina, Nueces, Refugio, San Patricio, Star, Uvalde, Victoria, Webb, Willacy, Wilson, Zapata, and Zavala County.